For a stylish, warm weather ensemble, the Tan Havana suit is a fashion-forward choice. Tailored in an ultra fine Poly/Wool blend with a contemporary notched lapel. 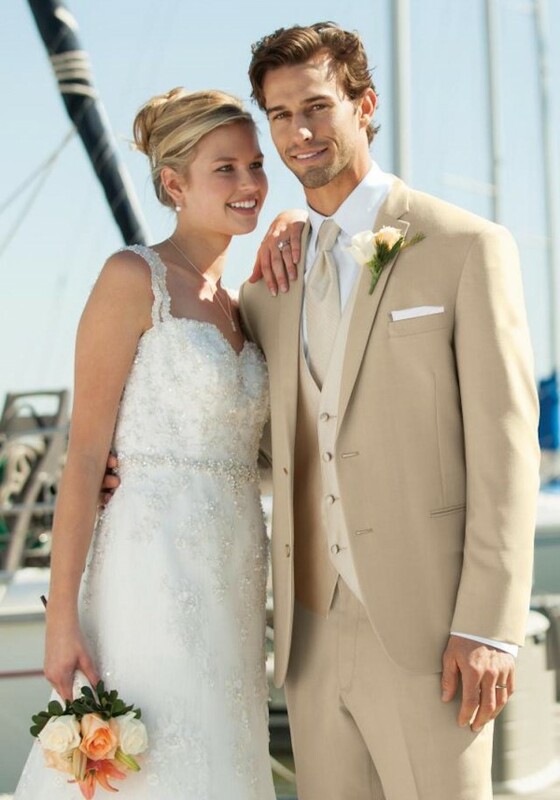 The light color makes it an inspired choice for casual and semi-formal warm weather weddings. Pair with matching flat front, modern slim fit pants.